SECAUCUS, N.J. (JTA) — Once a year, this swampy neighbor of New York City turns into kosher food heaven. Jews from across the country gather at the Meadowlands Exposition Center for the world’s largest kosher food trade show, Kosherfest. There’s plenty of nosherai, Yiddish and kippahs to go around at an event where attendees skew Orthodox and male. Some 300 exhibitors showed their products on Nov. 13-14 to an audience of some 5,000 food industry professionals, vendors and journalists. Home cooks looking to spice up their salads need look no further. 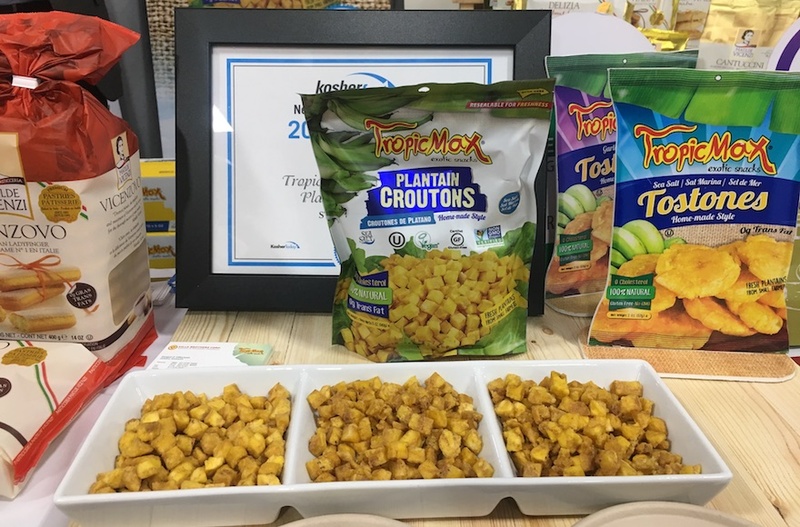 These plantain croutons, which are manufactured in Ecuador and won Kosherfest’s award for the best new savory snack, pack a salty crunch and are gluten free. Feel free to pour on the dressing: The manufacturer claims they don’t get soggy like the regular ones. Plantain croutons are available in supermarkets throughout the U.S. for around $2.50 for a 5-ounce package. They are flavored with sea salt, but new flavors — including garlic, lemon and spicy — will hit stores soon. Craving pasta but also in the mood for something sweet? These unique ravioli will satisfy your craving. The pasta is breaded and stuffed with sweet ricotta cheese and chocolate chips. They are sold frozen and can be heated up in the oven at home. For those seeking a savory version, New York Pasta Authority also sells more traditional flavors, such as spinach cheese, mushroom and pizza ravioli. The raviolis retail for about $5 for 12 ounces; the sweet variety will be available in about three months in kosher stores. 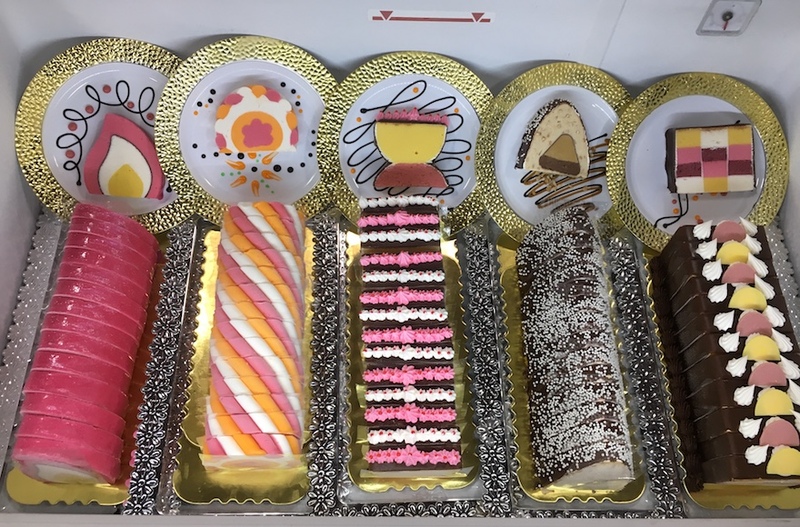 Klein’s Ice Cream gives sufganiyot a run for their money with a cake with slices that look like Hanukkah menorahs. The pareve (non-dairy) and vegan dessert is made of cherry and passion fruit-mango sorbet and is topped with chocolate icing. The health-conscious can delight — or at least take solace — in the fact that the cake, which comes pre-sliced, is made with real fruit. (Another version has slices that look like candle flames.) The menorah cake is only sold around Hanukkah, but those looking for a cold treat can buy other varieties of Klein’s Ice Cream year-round. A 12-slice log costs about $30 and is available in kosher supermarkets. 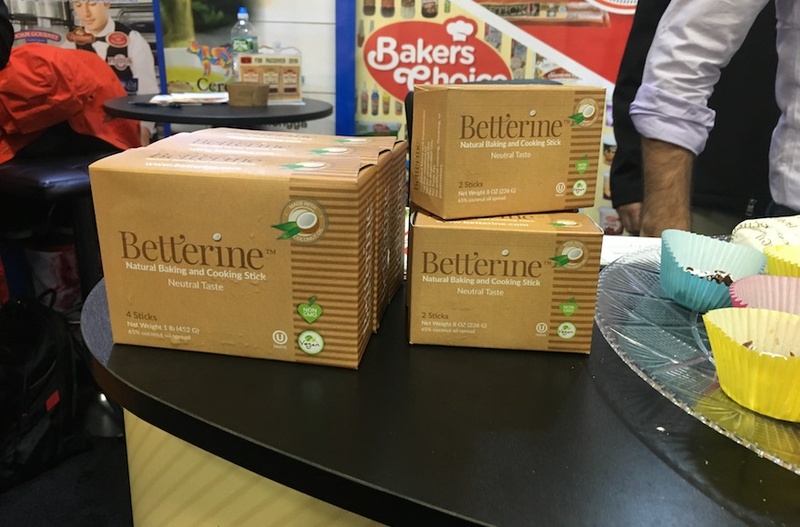 Betterine positions itself as the perfect solution for consumers who are looking for a non-dairy and all-natural butter substitute. It is made from coconut oil and is vegan, organic and GMO-free. Betterine sticks look similar to butter, have a neutral taste and can replace butter or margarine in recipes. The product will be available in two months in kosher stores across the country at a cost of about $5.80 for one pound. 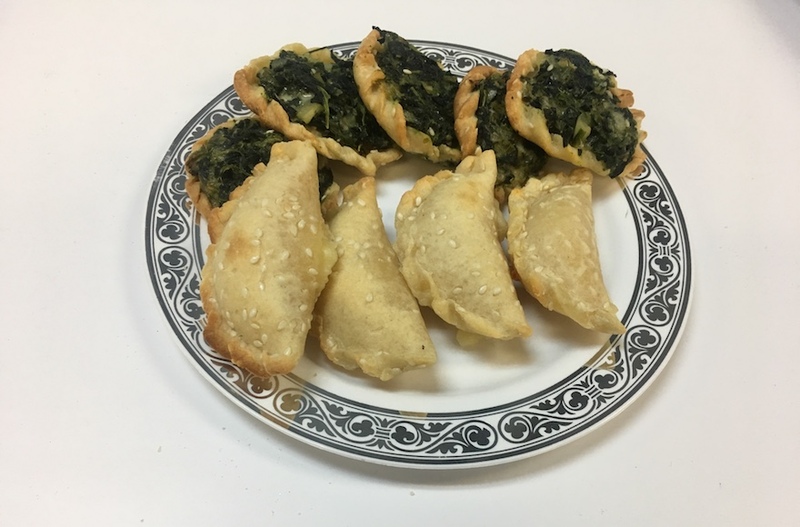 These sambusaks taste just like the traditional Syrian savory meat- or cheese-stuffed dumpling — except they are gluten free. The idea for the dish came to Esther Anzaroot when her son started dating his now-wife, who follows a gluten-free diet. Anzaroot wanted to share her family’s Syrian Jewish culture with her son’s significant other, but found that many dishes contain gluten. 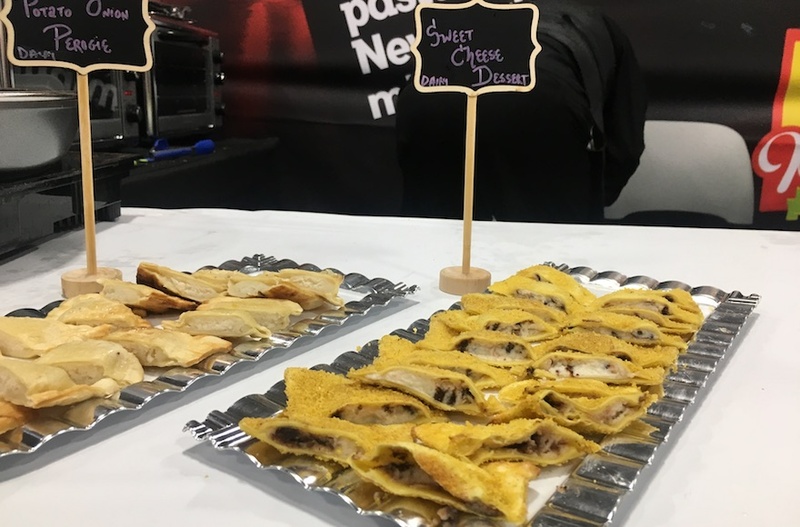 Her gluten-free sambusaks, which are sold under her brand GlutenFree.sy, beat out regular pastries to snag Kosherfest’s new product award in the breads and baked goods category. They retail for $13.50 per dozen at kosher markets in the New York-area and are available with a cheese or meat filling.